Man holding microphone standing near a lectern: We reverted the TOS. Come back. A crowd is in attendance. Voice from crowd: Never coming back. It's the principle of the thing. 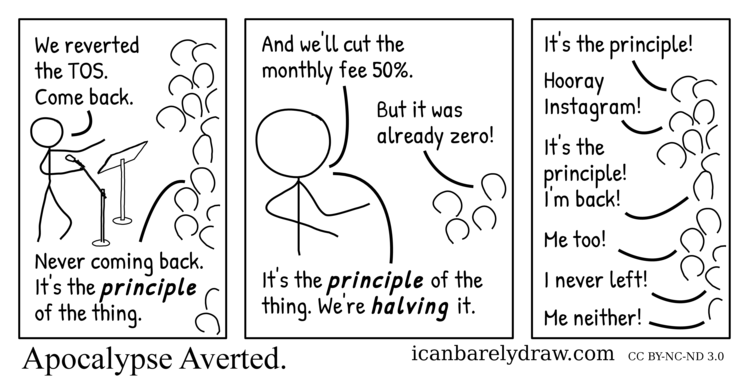 Man: And we'll cut the monthly fee 50%. Voice from crowd: But it was already zero! Man: It's the principle of the thing. 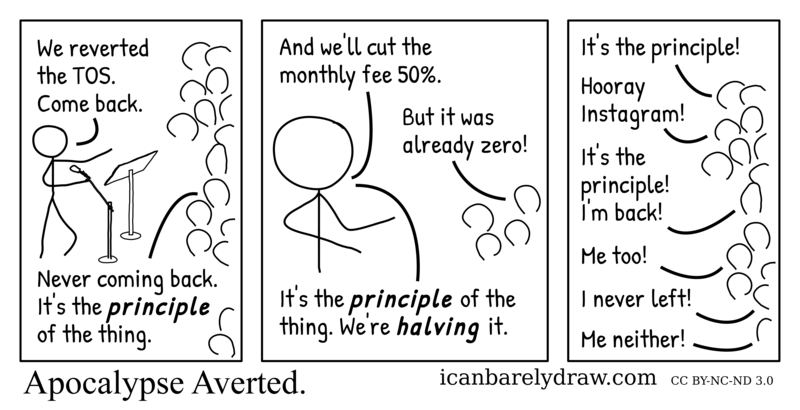 We're halving it. Voice from crowd: It's the principle! Voice from crowd: Hooray Instagram! Voice from crowd: It's the principle! I'm back! Voice from crowd: Me too! Voice from crowd: I never left! Voice from crowd: Me neither!